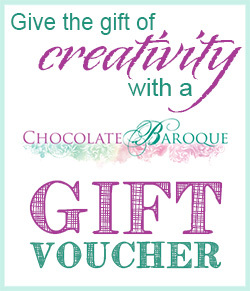 Welcome to the world of Chocolate Baroque! 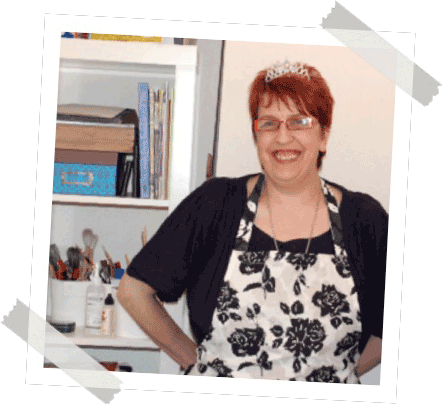 Chocolate Baroque is a small independent art and craft company, based in the historic market town of Barnard Castle in County Durham in the North-East of England and is owned and run by Lesley and David Wharton. Our resident artist, Sue Page, works from her home in Hampshire where she is inspired, amongst other things, by the natural world, botanical art and early 20th century illustration. 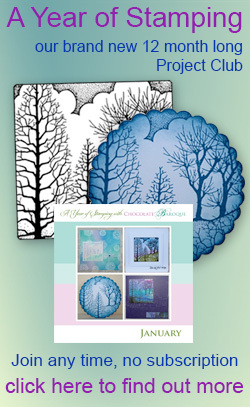 We sell a hand picked range of stamps from other companies too, as well as stamp mounting and storage systems, interesting surfaces to stamp onto and interesting things to colour with. But we're not just a stamp company, we love to source other quality materials to get your creative juices flowing so we are constantly improving and evolving our product mix. Please take a good look around the site, we've done our best to make it easy to navigate and you'll find a search bar at the top of every page. Enjoy your visit and hope to see you here again soon!